It is impressive and interesting to be active on multiple websites these days, but most websites require you to have an account in order to post messages, socialize, request support, submit information or get in touch with various people, make payments or any other form of data exchange. Surely you may have to fill in forms with personal data and when you need to do that on a daily basis, for purchasing items or signing up for a specific website, you could certainly use an app that inserts the details for you. Of course, you have to check whether the details have been correctly filled in complex forms as not all websites use the same template, but it’s much easier and faster when most details are correctly placed already. Obviously, it is impossible for us to keep a lot of extremely long passwords in mind at all times for every secure account on each site we regularly visit. 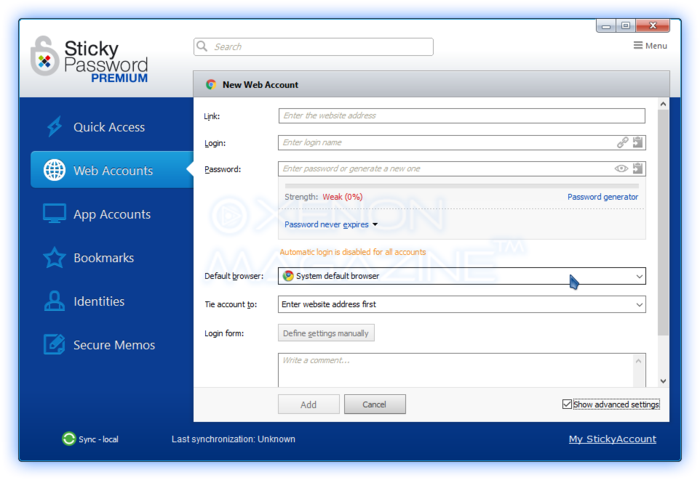 Sticky Password does that for you and it also comes with a myriad of features. 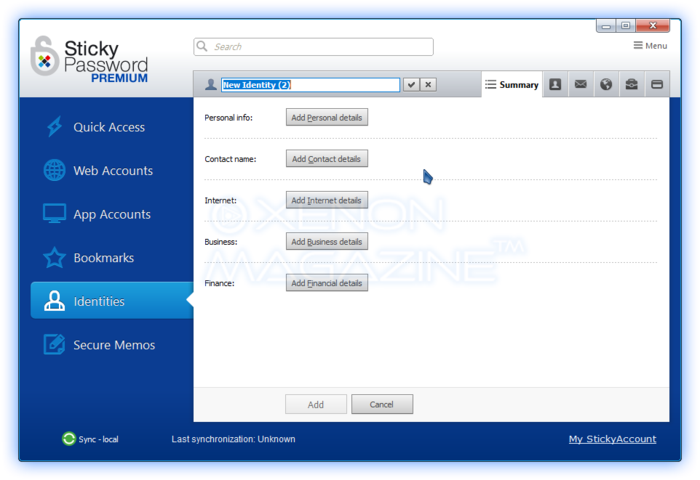 You can setup a specific identity as a user or as a corporation in the application interface so that you can use them as needed later on. Note: due to the sensitive nature of data, we have not included screenshots of the application filling in details as we do not wish to expose personal details. The interface is neither too simplistic nor too complicated. 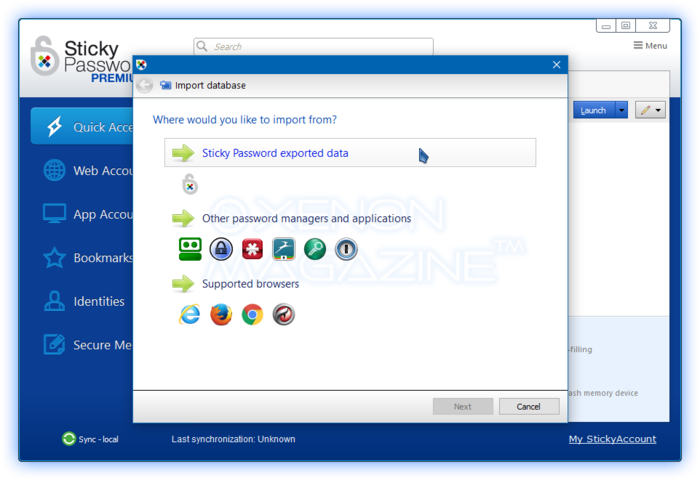 If you have been using a different password manager up to this point, Sticky Password is generous with the importing feature by offering you options to import secure password account data. 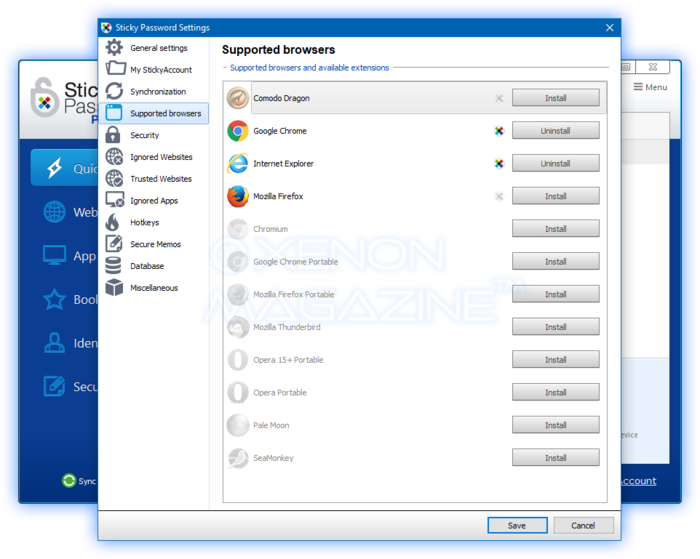 You can also import saved users and passwords from Internet browsers like Chrome or Firefox. 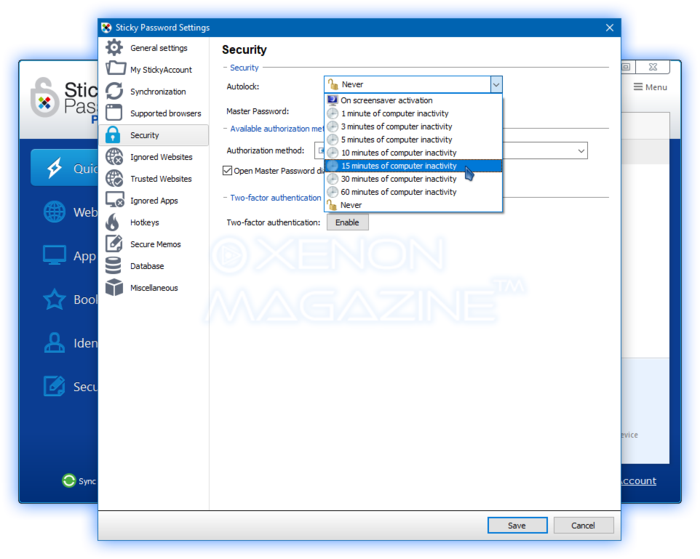 Once you import your passwords and settings, there is no need to import them again to your other devices using Sticky Password, in the same network (connected to the same router): the application offers the “Sync – local” feature. 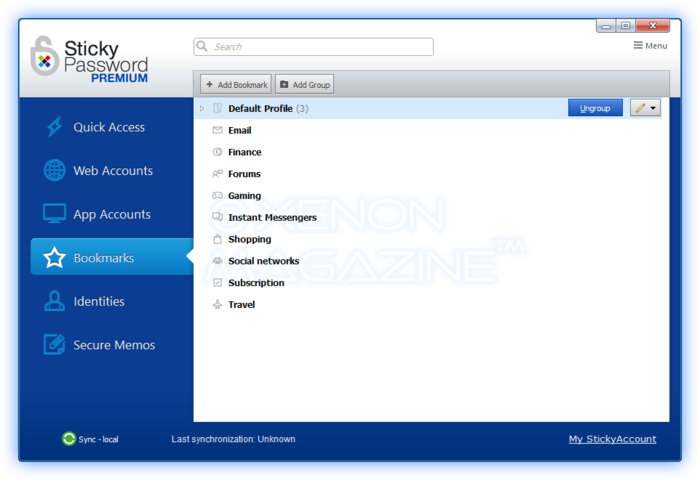 With it, you can synchronize all your accounts – so that all accounts, passwords, identities, will be available on all your devices. You will have to press the Sync button, use the pin number on the target device and then the syncing process begins, and make sure that while you do this you do not have any VPN-like software running so that you can finish the syncing with no errors. Of course, you can use the cloud option, but if you prefer to avoid the cloud, you can safely use the network sync feature. Browser support (as you can see in the screenshots) is really good (16 browsers are supported - the application will display only the ones detected in the computer where it runs) and there is also a useful auto-lock feature: after a predetermined fixed amount of time the app-access is locked – so that it is ideal for corporate or other multi-user environments – nobody can spy on your accounts. 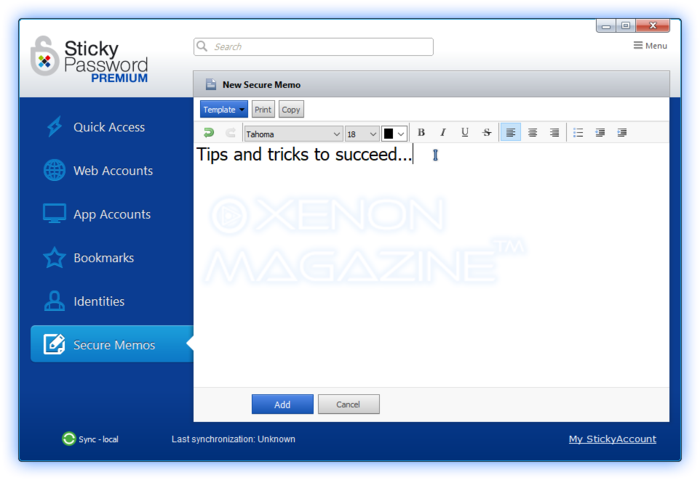 Sticky Password is also keen on protecting you from spyware sniffer-apps and keyboard loggers – in the Hotkeys section you are given the key combos to open the virtual keyboard and the password generator and, in this context, you can use your mouse to input account/password data into forms. 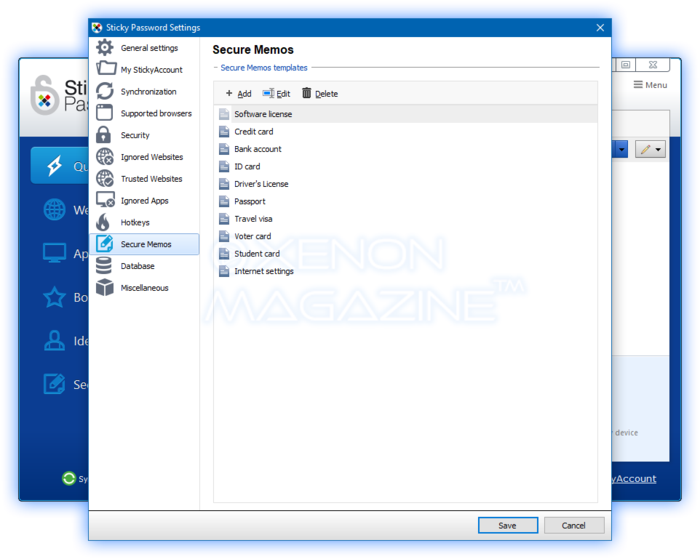 The Secure Memos tab (in the settings window) gives you access to 10 templates where you can store your private data if you think you might need to fill it in in some applications. 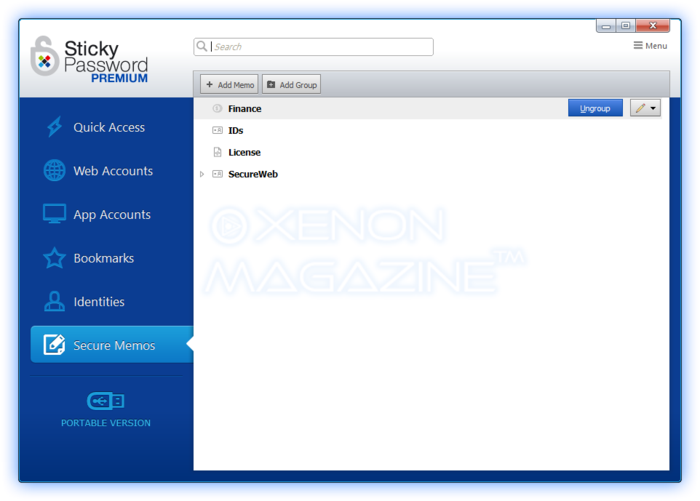 If you want to tweak the software further, go to the Miscellaneous tab to customize it. The Database tab contains information on the folder path where the file that stores your data is. 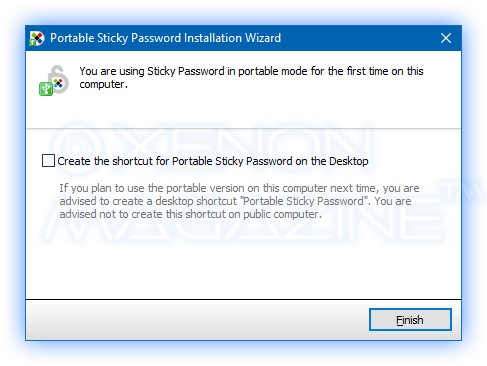 A really useful feature of this application is that it offers the possibility to create a portable version of itself – which is stored on the portable USB drive of your choice. Obviously, you must protect your data by setting up a master password, to encrypt the data and protect it from prying eyes. However, once your data is protected, do not allow browsers or other apps to store your credentials, as the account data in such an instance can be exposed. 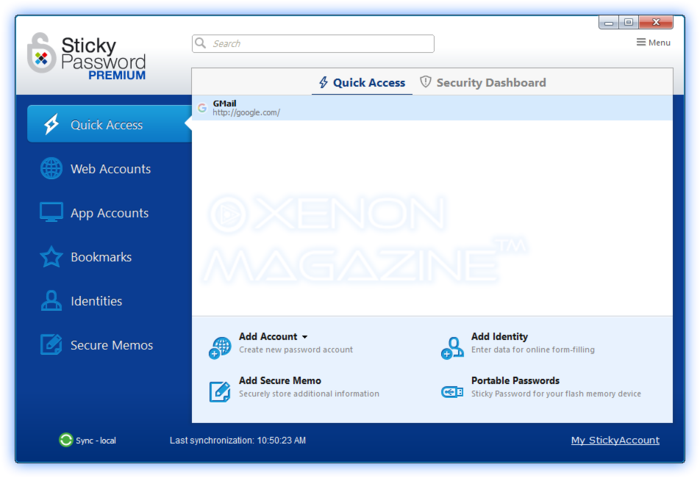 We have been using Sticky Password for over a year now and we are happy to recommend it to our readers as the most secure and easy-to-use password manager. You can find it on the official site for $29.99 a year, or $149.99 for a lifetime license. Of course, you can test its premium functionality for 30 days and you can buy a key for it after that. It gets even better – if you check the Facebook page of the application and participate in one of the contests you may win free licenses for it. There is also an Android version of this application, and it includes a secure web browser – we used it and were pleased to see it in action after syncing it with the computer version.